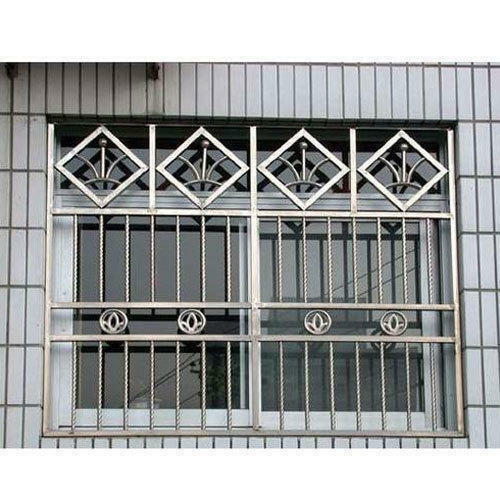 Being the leader in the industry, we offer our esteemed clients an exclusive range of Designer Window Grill. Offered product is made using mild steel that is rust proof and very strong in nature. Various levels and sections are made to store various types of items. Offered range is highly spacious. Our company, Fab Tech is the renowned company which is involved in the manufacturing and supplying to our esteem customers. Our company was incepted in the year 2015 as a Sole Proprietorship (Individual) based company at Chennai, Tamil Nadu, India. Our offered range of services include Metal Gate, Metal Staircase, Window Grill, Safety Door Grill and many more. Moreover, we are also providing Fabrication Work. Our company assure our valuable customers that the quality of our products run as deep as the establishment of our companies. We provide the good and vast range of quality products with industrial norms and standards, service guarantee with customer satisfaction. We are using the latest technologies in design and manufacturing steel gate, grill and trolley. We understand our client’s requirement so our structures are designed according to the customer’s needs with a specific time frame. Further, our products are offered at affordable prices according to the customer needs.